As a part of our MBA exchange program from Ryerson University, we went on a summer exchange program to Copenhagen Business School (CBS). We planned our trip in such a way that we could travel to different cities during the weekends and complete our academic credits during the weekdays. On one of our weekend trips, we visited Paris. Words cannot describe how amazing the city looks from the top of the Montparnasse Tower. This 59 story tower is built on a metro station and has mostly offices on all floors, yet it is one of the most popular tourist destinations in Paris. That’s because the terrace of this tower is open for public to enjoy the extraordinary panoramic view of the city. We reached to the terrace in just 40 seconds through a quick and smooth elevator ride. Compared to the Eiffel Tower, the Montparnasse Tower is less crowded which makes the spectacular view of the city even more enjoyable. 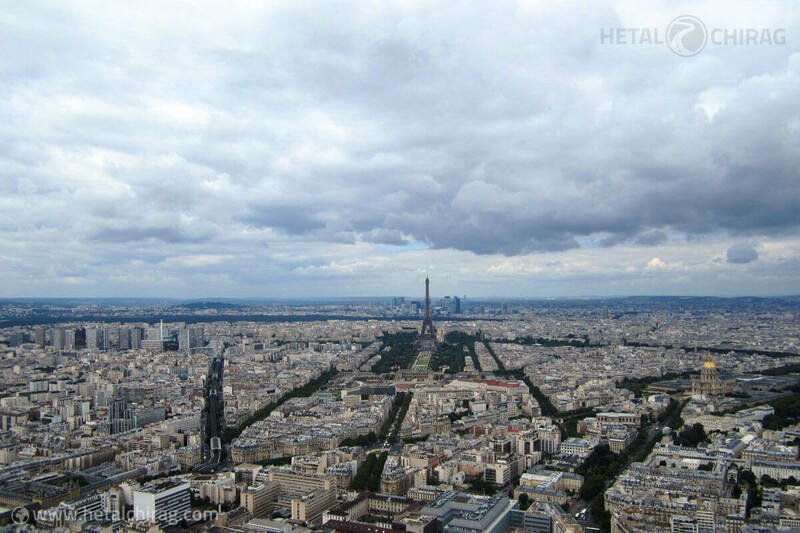 Later that day we visited the Eiffel Tower to have a closer look at the iconic monument after witnessing it from the top of the Montparnasse Tower. Did you know that the Eiffel Tower weighs around 10,000 tons? Named after its Engineer Gustave Eiffel, it has a nickname “La Dame de fer” meaning “the iron lady”. If you want to avoid crowds, try to get there as early as possible. Top floor and the first floor provide the perfect view of Paris skyline. We would also recommend visiting the Eiffel Tower at night to enjoy a beautiful display of lights as the tower sparkles bright in the night. If you happen to visit Eiffel Tower on Bastille day, you can witness magnificent fireworks that lights up the tower. When we were in Paris we also visited “Notre Dame di Paris”. The Notre Dame Cathedral is a Gothic themed architecture with stained glasses and beautiful historic sculptures. If you love history and architecture, use the informative audio guide available at the entrance to understand the significance of different features that make this cathedral unique. The entire cathedral is beautifully crafted with carvings, artworks, statues that represent different parts of Bible.